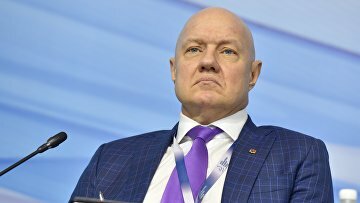 Crimean Deputy PM arrested in Moscow on suspicion of corruption | Russian Legal Information Agency (RAPSI). MOSCOW, October 17 (RAPSI) - Vice prime minister of Crimea Vitaly Nakhlupin has been arrested in Moscow on suspicion of taking bribes, the press service of the republic’s government has told RAPSI. According to Deputy Chairman of Crimean Council of Ministers Igor Mikhailichenko, investigative activities in the case are underway now. Investigation is ongoing into other officials of the region, Crimean leader Sergey Aksenov wrote on his Facebook page. According to the republic’s head, investigative actions are conducted in the committee on road industry and competition policy, highway service and in Crimeagasseti and Krymenergo companies. The companies are cooperating with investigators, Aksenov added.